It should come as no surprise that the lessons that should be learned from the bankruptcy of Detroit, a city that once stood as the shining example of America’s industrial might, are being ignored by the American political establishment and its allies in the docile press corps. While the death spiral of the Motor City may be extreme in relation to conditions throughout the country, it is a difference of degree rather than design. In truth, Detroit is our canary in the coal mine. It is succumbing to the same combination of productive decay, government mismanagement, and unmanageable debt that is crushing the rest of us. But as the most sub-prime of all major American cities, the symptoms that are infecting all of us have first become fatal in Detroit. In the first half of the 20th Century, Detroit offered good manufacturing jobs to nearly 200,000 workers. The booming labor market caused the City’s population to swell to 1.8 million by mid Century. But the jobs did not come from government programs or public “investments” in education and training. They were in fact created by the vibrancy of American capitalism, the vision of forward thinking industrialists, the strong work ethic of the labor force, and the relative non-interference from government or organized labor. (“The Big Three” auto companies did not begin to bargain collectively with the United Auto Workers until 1941). Anyone who has ever had the pleasure of encountering a classic American car like a 1934 Oldsmobile 8 Convertible Coupe or a 1941 Chrysler Town & Country should get a sense of why Detroit prospered as it did. Not only were these cars stunning pieces of engineering and craftsmanship, but they were surprisingly affordable for many middle class Americans. The wealth generated by the makers of these cars, and the myriad of lesser manufacturers that serviced them, flowed to all classes of people in Detroit, allowing the city to build great buildings and civic spaces, establish world class arts institutions, and contributed greatly to the country’s cultural achievements. 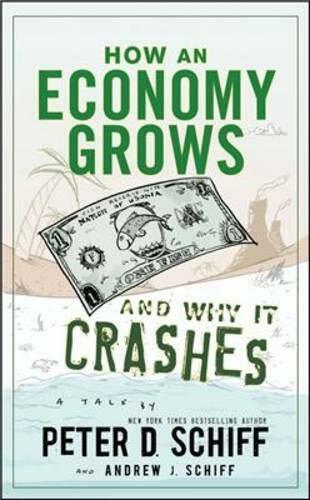 But as the city reached its zenith, organized labor and government at the state, federal and local levels combined to kill the goose that laid the golden eggs. 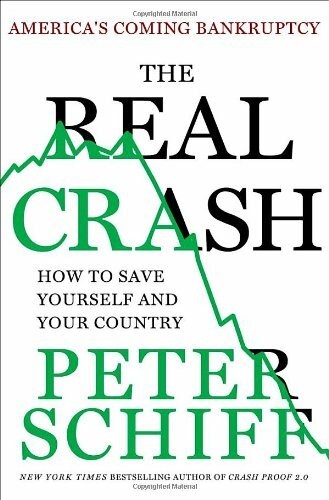 Although Detroit continued to produce and prosper into the 1950s, The Real Crash Peter D. Schiff Best Price: $0.10 Buy New $2.95 (as of 12:10 EDT - Details) the Vietnam era marked a turning point for the auto industry and the city it represented. While the bureaucratic structure and myopic hubris of the largely unchallenged American auto industry certainly contributed to its decline in the post war years, the real blame falls squarely on labor unions and government. 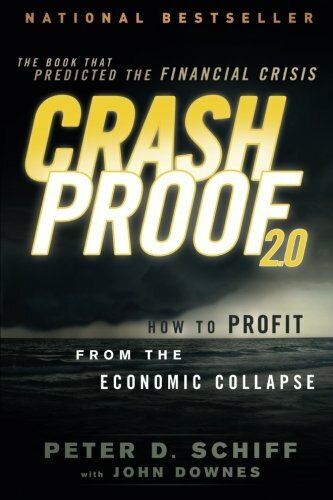 Facing the unshakable power of a monopolized labor force backed by the full might of a democratically controlled political machine, the auto companies had to agree to wage hikes, restrictive work rules, and long-term pension commitments that they simply could not survive. Politically, the voting block dynamics of a heavily unionized municipality created a perfect storm for Detroit. Mayors and councilman were elected based on the ability to continue to promise more to the unions, who of course showered their preferred candidates with campaign funds. And while the auto companies were free to back candidates of their own, there is no substitute for actual voters. As a result, Detroit has been saddled with generations of corrupt and incompetent governments funded by corrupt, incompetent unions. Both camps have essentially no understanding of how their city was built and how the promises they were making to future generations could never be kept once the industries succumbed under the heavy hand of taxation, regulation, and labor coercion. Today the population of Detroit has declined more than 60% from its peak and the number of manufacturing jobs has fallen by 90% to fewer than 20,000. Meanwhile the city’s municipal debt is now more than $18 billion, which translates into $25,000 per citizen in a city where fewer than half the adult population is employedand nearly half are functionally illiterate. 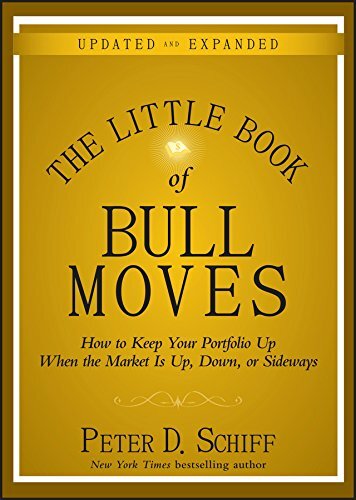 It has promised more than $3 billion to 20,000 city pensioners ($150,000 The Little Book of Bul... Peter D. Schiff Best Price: $4.00 Buy New $14.50 (as of 06:25 EDT - Details) each) that it simply doesn’t have. Detroit’s Emergency Manager Kevyn Orr recently showed how the City spends 38 cents of every new tax dollar on these “legacy costs,” a figure he expects will grow to 65 cents. This means that there is no money left to run the city. But rather than acknowledging these problems, Detroit politicians, like the aforementioned mayoral candidate, like to pretend that they don’t exist. Things are no different in Washington. On a national level we have also promised far more than we can deliver. In addition to our acknowledged current national debt of almost $17 trillion ($53,400 per citizen), there is another $87 trillion in unfunded obligations that the Federal government has promised to pay Social Security and Medicare recipients over the next 75 years. (These figures are over and above the projected revenues those programs are scheduled to bring in.) This difference comes to another $290,000 per citizen. Anyone remotely aware of the financial well-being of the average American will know these figures are well beyond our means. But this hasn’t motivated us to reform entitlements in a way that will render them affordable. The good news is that the same forces that built Detroit could help turn it around, if only they were allowed to function. First off, Detroit needs to default on its debt. This means the bond holders and the citizenry will suffer. But after this painful process is complete, Detroit will have a few things going for it. It will boast abundantly cheap real estate and plenty of desperate workers. If government were to relax employment regulations, cut business and sales taxes, crack down on union intimidation tactics, and eliminate the minimum wage, the employers would sense the opportunity and return. Although industry could not offer the kinds of high paying jobs that it had in the past, Detroit would at least be hiring again. Although the city will be set back generations, at least it would be moving. But the left would erupt in fury. We are programmed to perceive such developments as greedy exploitation rather than the natural manner in which capitalism cures excess and starts again at square one. Liberals would rather the unemployed stay that way rather than suffer the degradations of capitalism. So instead of such honest cures, look for Detroit to borrow its way out of the crisis while pretending to fix its chronic problems. If we laugh at their foolishness, we should all look in the mirror.